To quote Mary Poppins, my dog, Riggins, is “practically perfect in every way.” At least in my eyes he is. One of his only flaws, and one of the hardest ones to manage, is his distaste for children. It’s not Riggins’ fault that he isn’t into tiny humans with high-pitched voices and lots of frantic energy, who come at him at eye level. As a single woman in Los Angeles, I never had the opportunity to socialize him with the weird two-legged puppies without fur. Not a very attractive offer, right? And also my friends already had seen Riggins in action. When he was about 1 year old, I had a house-warming party. One of my good friends brought over her baby boy, Benjie. The kid was crazy cute. Just an adorable little blob who my friend plopped down on a chair in the backyard. Riggins would have NONE of it. He didn’t know who the little creature was getting all the attention in HIS yard, but he wasn’t going to stand for it. Riggins proceeded to bark at the poor baby, not a happy bark or a”let’s play” bark but a legit, “Who do you think you are? Get away from my people!” bark. Riggins was not allowed near the child during the remainder of the party. I assume that’s why I had a dream later that year where I was on the edge of a volcano with Riggins and my friends two children, including baby Benjie. I could either save my friend’s children or Riggins. The “loser” faced a fiery death by lava. It was a real Sophie’s Choice, let me tell you! Of course I saved the children, telling myself, “human children come first.” It really bummed me out. It was a BAD dream. When my sister was pregnant with her first kid, my whole family wondered how Riggins would react. I was terrified but tried to hold it together. I knew that if I freaked out, Riggins would never stand a chance. He’s a sensitive boy with separation anxiety. He’s way too in-tune with what I’m feeling. My sister was on bed rest in the hospital for three months with her first child. 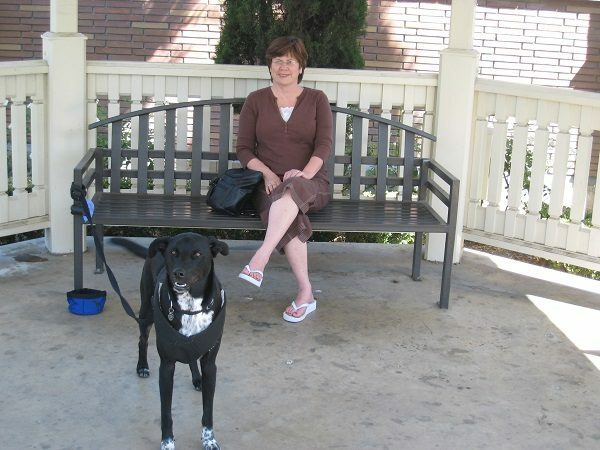 When my mom and I went to visit her, we would take turns hanging out with Riggins in a little courtyard in the front of the hospital. 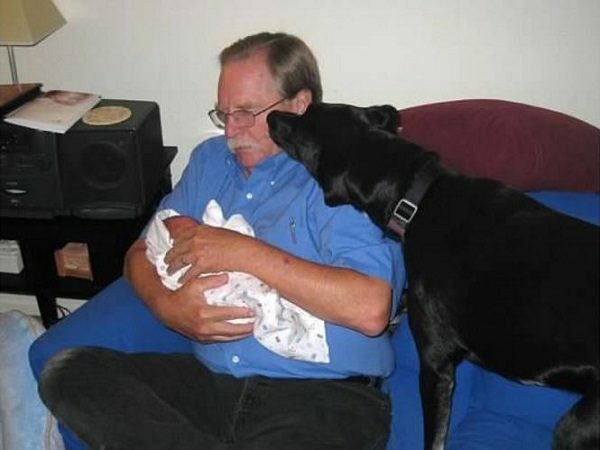 While we were there, I would have a nice talk with my dog, explaining to him that the new baby needed to be loved — not eaten as a snack. Turns out, I didn’t have anything to worry about. I don’t know how, but Riggins seemed to know that the baby who came home with his aunt (my sister) and uncle (my brother-in-law) was part of the pack. My pampered pup wasn’t thrilled that the new addition was getting all of the attention, but he managed to figure out how he could wiggle his way between my nephew and my lap. 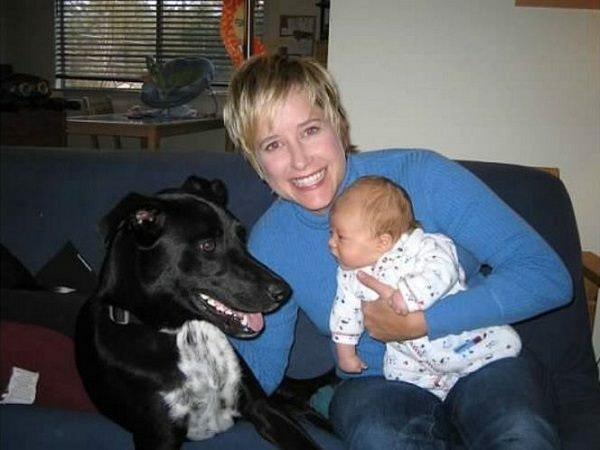 If I was holding the human baby, my baby made sure he was close, too, so he wouldn’t miss out on a single cuddle. And when my niece was born, Riggins cold-hard heart melted. The two, Riggins and my niece, became fast BFFs. Now, during family holidays, I’m kicked out of bed ridiculously early in the morning so the two can spoon. That doesn’t mean I don’t watch him like a hawk around my niece and nephew, or any child — I do. Riggins is great at warning of his displeasure, but some children, who haven’t been taught how to engage with dogs safely, often miss the signs. So I prefer to play it safe. Usually I can tell if Riggins is going to be unhappy near a certain child. Every once in awhile, he surprises me, but usually I can tell. Something in the child’s energy alerts me to keep Riggins on a shorter leash. He’s a good pup, he just has some tiny flaws, we all do. No one’s perfect. Heck, I have some human friends who aren’t too thrilled when kids are around either. Riggins’ is just livin’ the bachelor life! 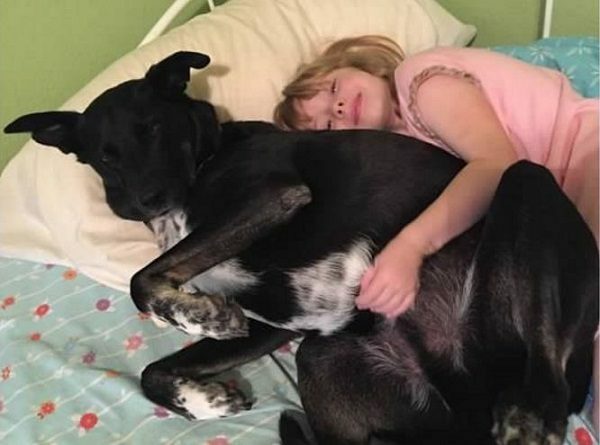 I have a feeling a lot of you have pups that are GREAT with human kids. Share some pictures with us in the comments below. I’ll show them to Riggins. Maybe he will learn a thing or two! 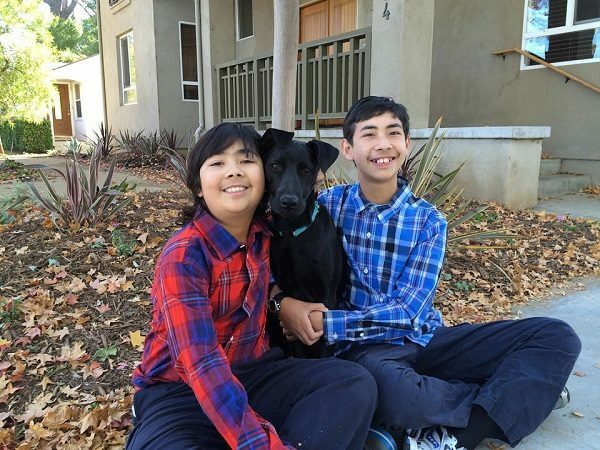 The post How I Deal With the Fact That My Dog Just Doesn’t Like Most Kids appeared first on Dogster.